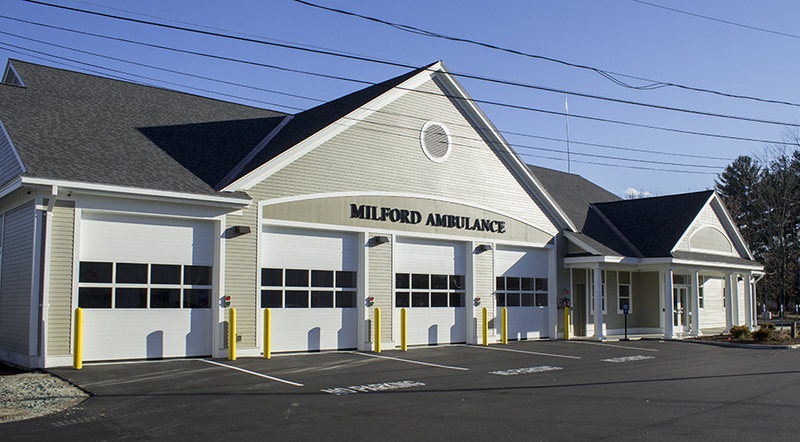 Cowan Goudreau Architects, was selected to continue a schematic design for the new ambulance services facility approved by the Town of Milford, NH in March, 2013, NH. 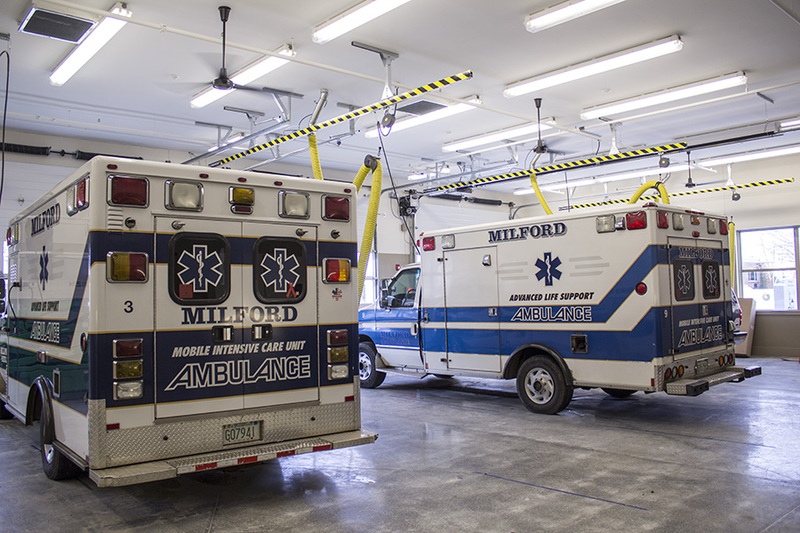 The facility is approximately 8,100 sf, and is located on a site purchased by the Town for that purpose. 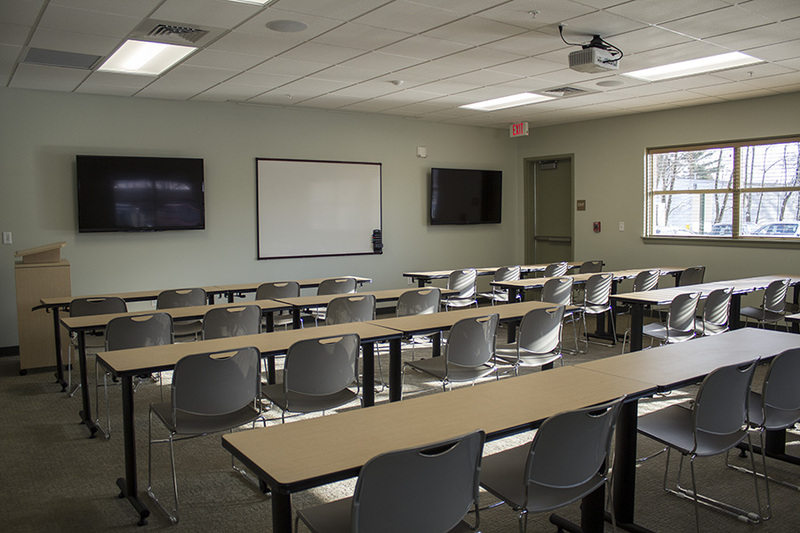 The project as designed includes 4 vehicle bays, dorm rooms to sleep 6, soiled utility, offices, dayroom with living and kitchen/dining and training room for 40 people. 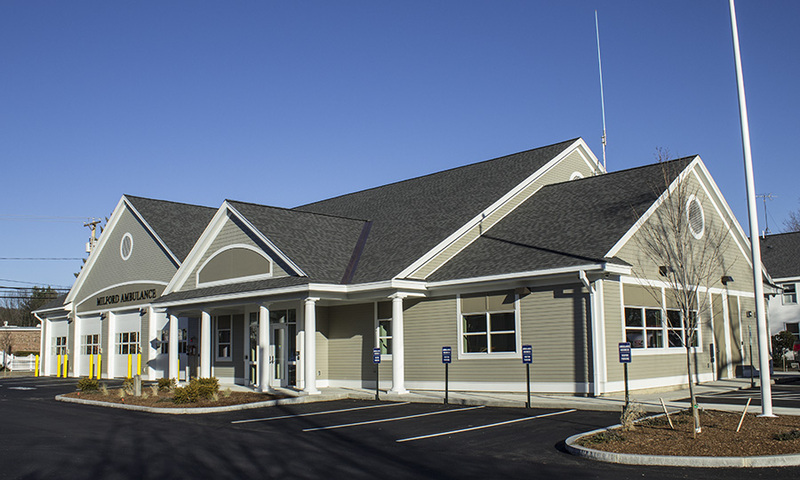 Construction was completed in 2014.